Buy online DC Power Jack Female Socket (PCB Mounting) in India at low price from DNA Technology, Nashik. DC power jack/connector. This is a common barrel-type power jack for DC power. 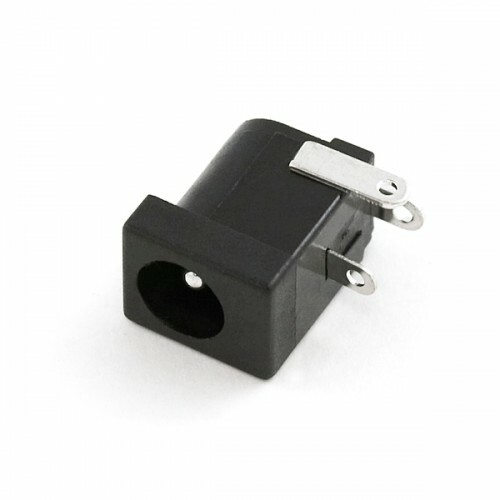 These are compatible with our DC wall supplies and have a 5.5mm jack, with a 2.1mm center pole diameter. This DC Power PCB Mounting Socket is the same one that is used in your Arduino Uno Board. So if you want to reduce all power wiring on your PCB then provide this power socket mounting option on your PCB. DC Power Male Plug JackThis adapter jack plug is great for adding a common connector to the end of o..
2.1 X 5.5mm DC Power Female DC ISPL Socket Cabinet MountingThis is DC Power Jack Socket which can di..